How often do we meet people who leave a lasting impression? How many of those people were educators who spent time helping to sculpt us into the people we are today? Educator vs Teacher When compared with educator, teacher merely refers to a job title; teacher is a person who teaches in a school. But, an educator is a person who educates students. A good teacher can be called an educator. This is the main difference between educator and teacher. Certifications Continuing education includes (but not limited to) being inspired in workshops and certifications with Baron Baptiste, Todd Norian and Ann Greene, Paul Grilley, Seane Corn, David Life, Sharron Gannon, Michael Stone, Yogi Vishvketu, Nischala Joy Devi, Susi Hately Aldous, Maria Garre, Natasha Rizopoulos, Michael Lee, Sri Dharma Mittra, and Don and Amba Stapleton. 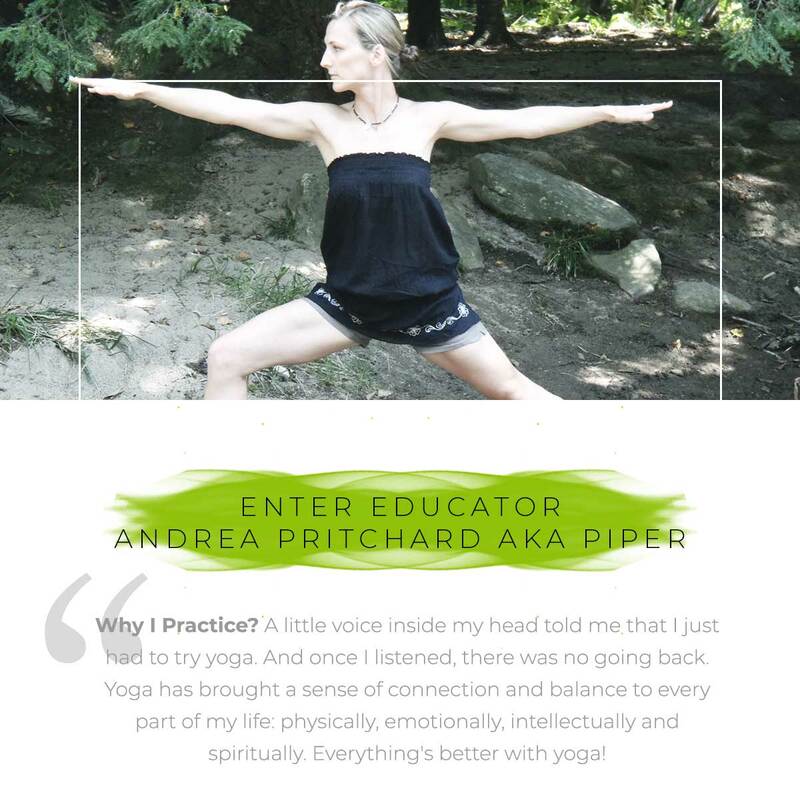 Why I Practice I practice to create space both inside of my physical body as well as my mind. I practice to bring more awareness, connection and clarity into every thing that comes to me. I practice because no matter what state I'm in when I arrive on my mat, I always leave feeling so good, so alive. 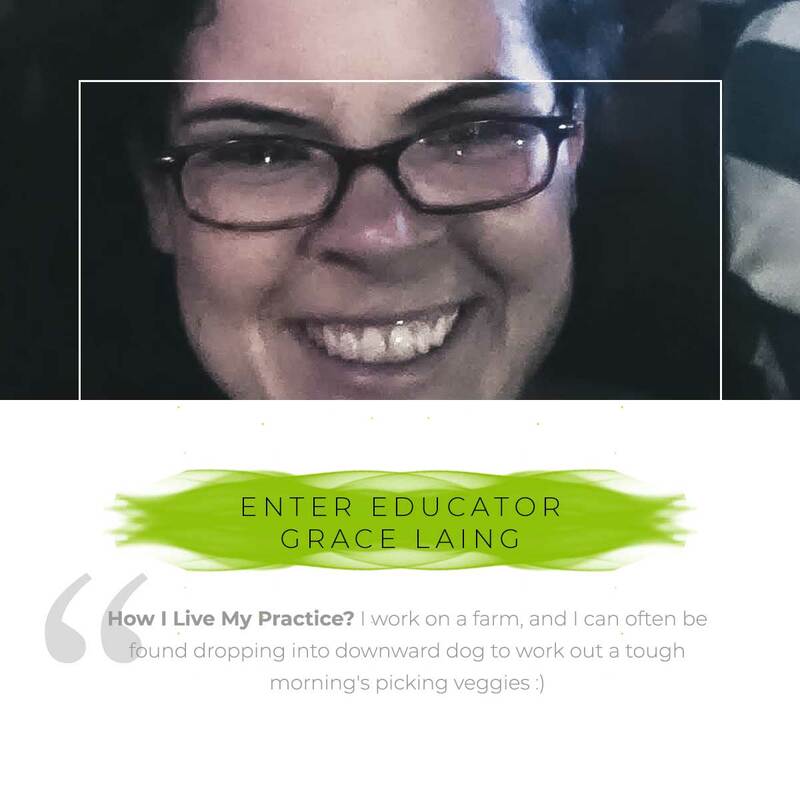 Why I Teach I teach out of gratitude and respect for what I have learned so far, in hopes that I can inspire others to discover their own innate possibilities. Certifications I did my 200 hr teacher training with Don & Amba Stapleton, Yoga for Childbirth with Dorothy Guerra, as well as some amazing workshops and courses with Amy Ippoliti, Natasha Rizopoulos, Maria Garre, Seane Corn, Michelle Cormack, Paul Grilley and Michael Stone. Certifications 250-hr Teacher Training at the Yoga & Relaxation Centre w. Jane Forrington-Burke, Joan Fast & Dawn Wallace. 50-hr Pre-natal Training with Monica Voss at Esther Myers Studio in Toronto. 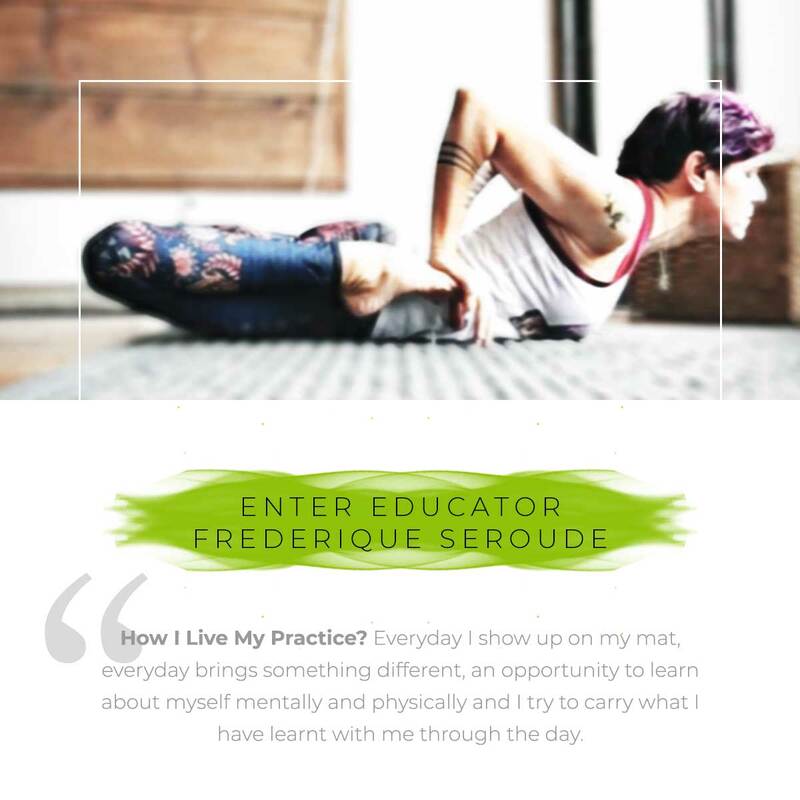 How I Live My Practice Everyday I show up on my mat, everyday brings something different, an opportunity to learn about myself mentally and physically and I try to carry what I have learnt with me through the day. What I Share in my Teaching I try to share my love for the practice, what I am learning, that it doesn’t matter how old you are, what shape you are in, what your story is, yoga will happen to you! Certifications I have done my 200 hours teacher training with Mona Warner. 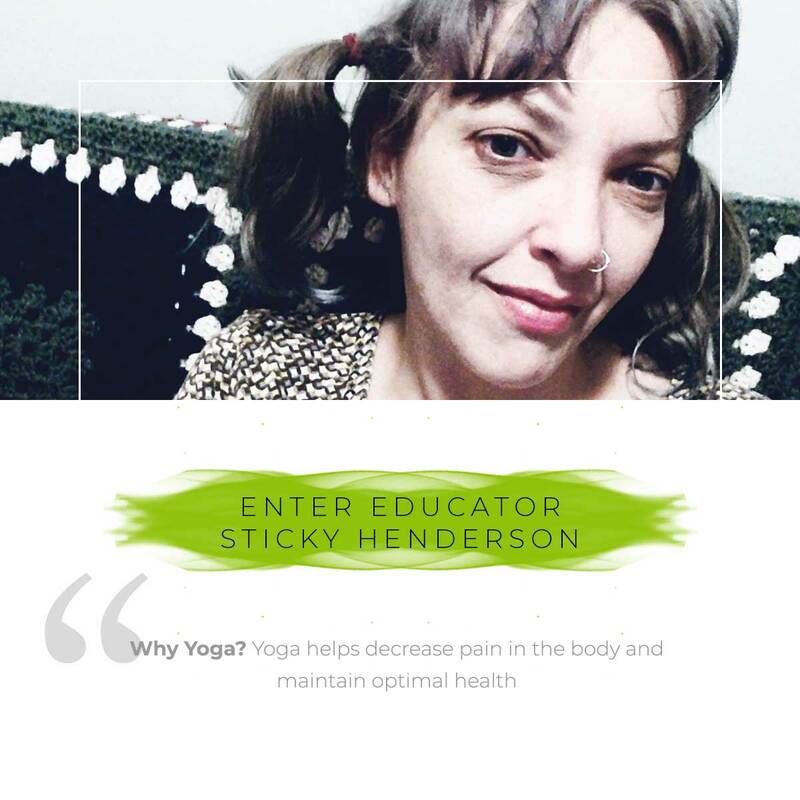 Since I have taken multiple workshops with Richard Freeman, Meghan Currie, Leslie Kaminoff, Advanced teacher training with Ana Forrest, annual workshops with Kino McGregor, and am now learning under the guidance of my teacher David Robson..
Why Yoga Why not!! It's the most challenging, enriching, enlivening and fulfilling way to spend my time. After class the cells in my body literally feel fuller, my joints move with grace and my brain feels clearer. 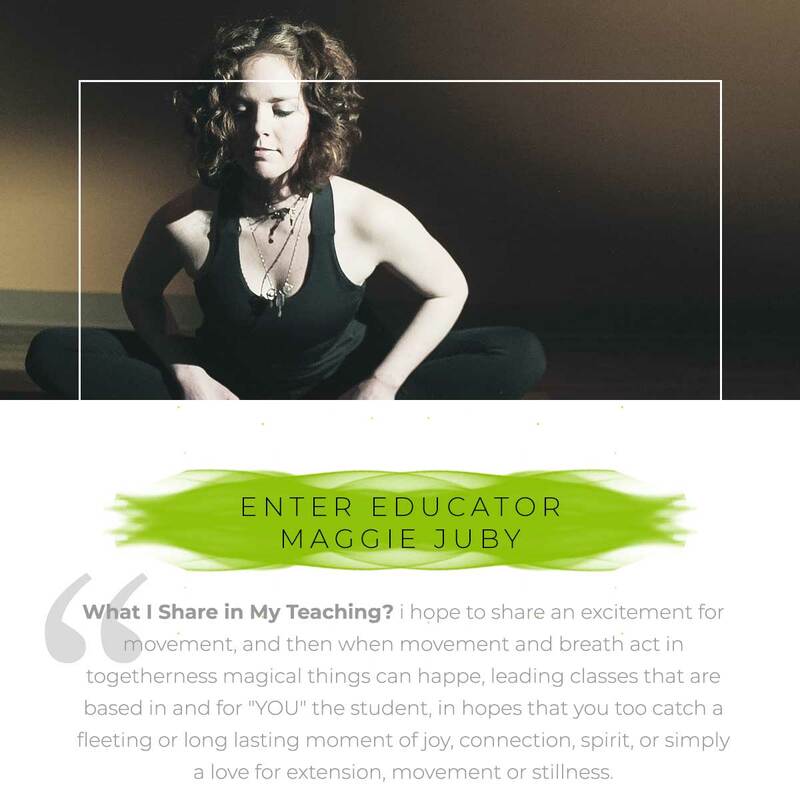 What I Share in my Teaching My love of alignment for optimal energy flow, my love of inquiry, and my love of community moving and breathing together as one. Why Yoga Yoga allows me to feel vulnerable in a spiritual and a physical sense. I started a regular practice at a time when my physical activities were creating more stress than relief. I was seeking something beautiful, physical and grounding. I love that yoga is a creative process with infinite depth. It allows me to observe myself and move toward acceptance. How I Live my Practice Living my practice means arriving with presence just at the moment in front of me. Living yoga is listening and responding with gratitude, softness and clarity, no matter the context on or off mat. I am graced with a few lovely people in my life who allow me to play with this, knowing that I make mistakes along the way. Certifications Yandara Yoga 200-hour training, B.Sc. 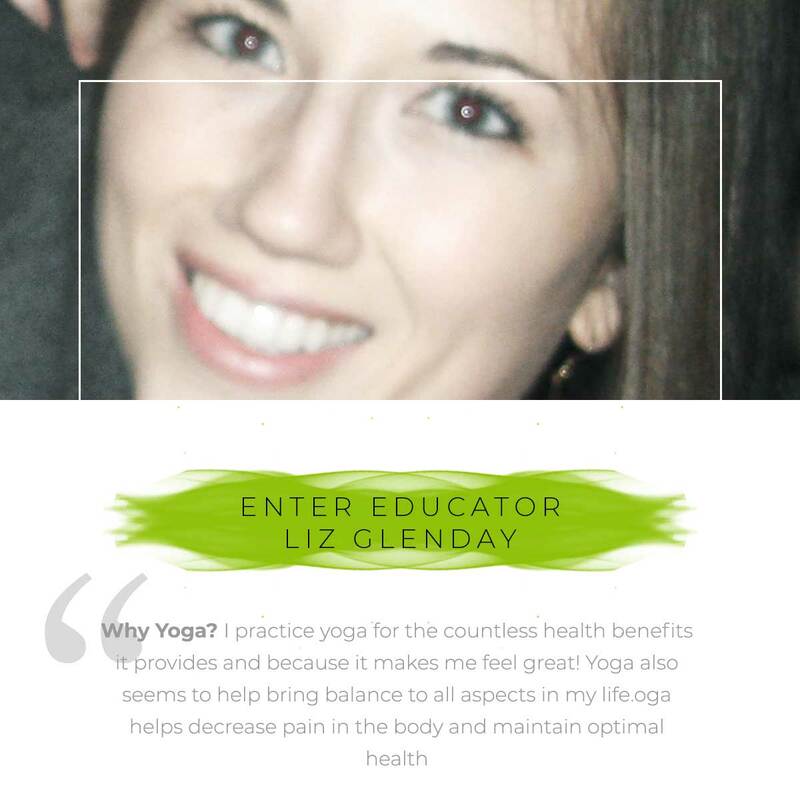 Nutrition, YMCA / SPRA fitness instructor, pursuing 500-hour yoga certification with Yandara Yoga Institute November 2015. Currently work as a Registered Dietitian in the Kingston Regional Bariatric Assessment & Treatment Centre. Why I Practice A little voice inside my head told me that I just had to try yoga. And once I listened, there was no going back. Yoga has brought a sense of connection and balance to every part of my life: physically, emotionally, intellectually and spiritually. Everything's better with yoga! 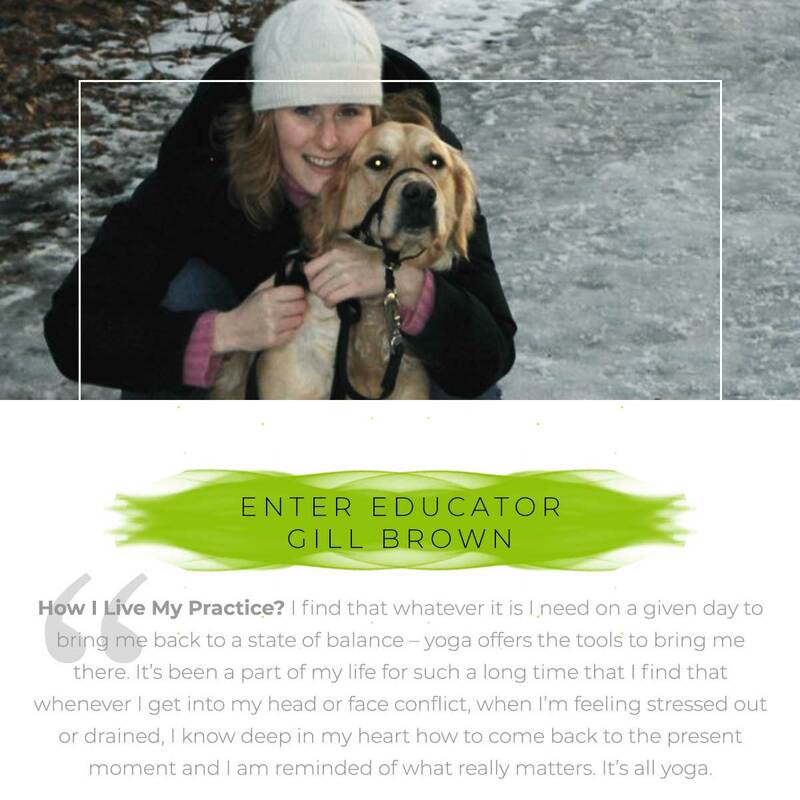 Why I Teach I teach because it is my way of giving back and sharing what yoga has given to me. My hope is for all people to accept themselves in the packages that they come, to find a deep love and acceptance of who they are, good and bad and to find the strength to heal that which needs to heal. And to be given a forum to spread that message, to be given an opportunity to connect and share loving energy with so many amazing people, what a lucky ducky I am! Why Yoga Yoga makes me feel better. On many levels. It is that simple. 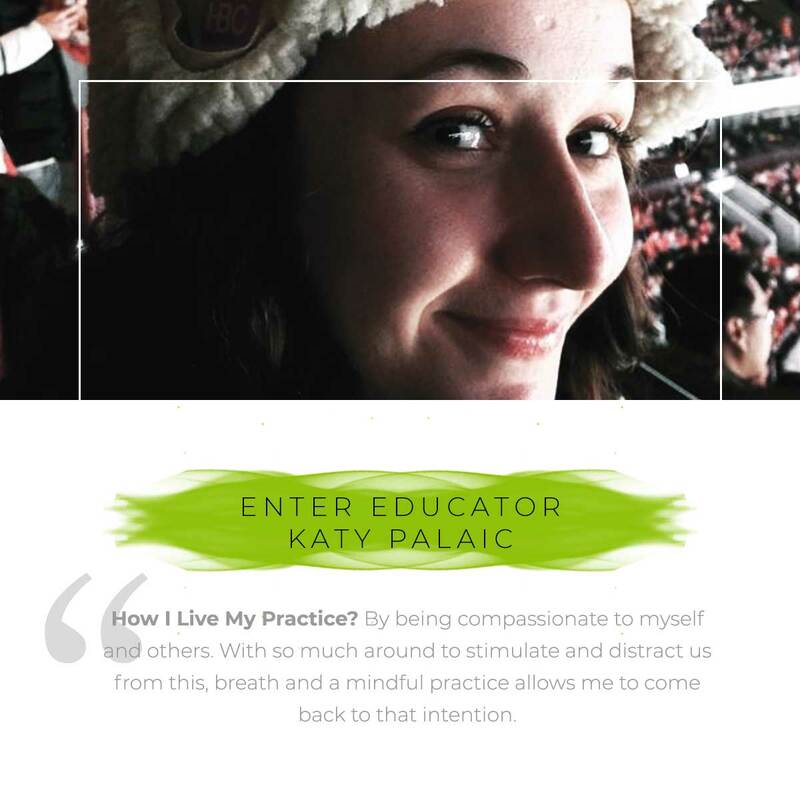 How I Live My Practice I respect and honour the experiences and paths others are on. Currently this is manifesting in my 3 beautiful children. Certifications I have been lucky enough to learn from many teachers including, Mona Warner, Baron Baptiste, David Robson, Susi Hatley, Michael Stone, Alison Ulan, Carolyn at Path, Dharma Mitra, Todd Norian and Anne Greene, Rodney Yee, David Swenson and Sean Corne. How I Have Fun Off the Mat I spend my time playing with my two beautiful little girls, hanging out with my husband and enjoying time with good friends. I enjoy good food, the first cup of tea in the morning, long walks, swims in the lake, biking and being in nature. 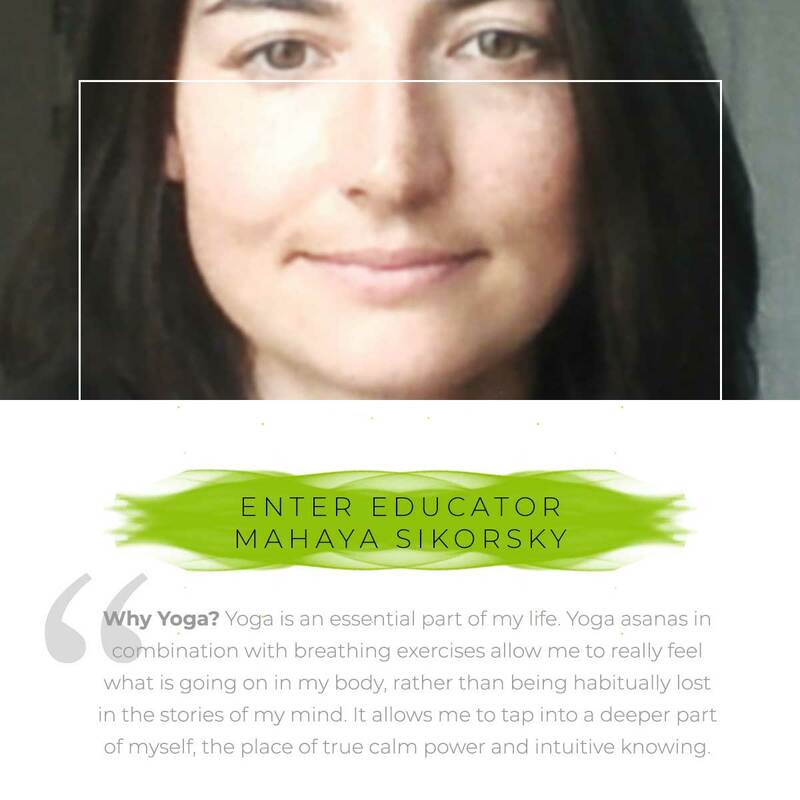 Certifications Certified 200 hour yoga teacher training with Mona Warner. Why Yoga In my class you will flow, fly and flip your ǝʌıʇɔǝdsɹǝd and you'll do it to really good music. You will find yourself in the present moment, breathe your deepest and come home to who you already are. Play regardless of age, pop your comfort ⓑⓤⓑⓑⓛⓔ and explore yourself in all possible ways. Awaken your body's intrinsic intelligence and trust the wisdom within. Why Yoga Yoga is an essential part of my life. Yoga asanas in combination with breathing exercises allow me to really feel what is going on in my body, rather than being habitually lost in the stories of my mind. It allows me to tap into a deeper part of myself, the place of true calm power and intuitive knowing. The place of connection, where the whole life is experienced as an amazing exploration and a rare opportunity to express and share with the rest of the world all that unique beauty that resides within each one of us. Why Yoga I practice yoga for the countless health benefits it provides and because it makes me feel great! Yoga also seems to help bring balance to all aspects in my life. 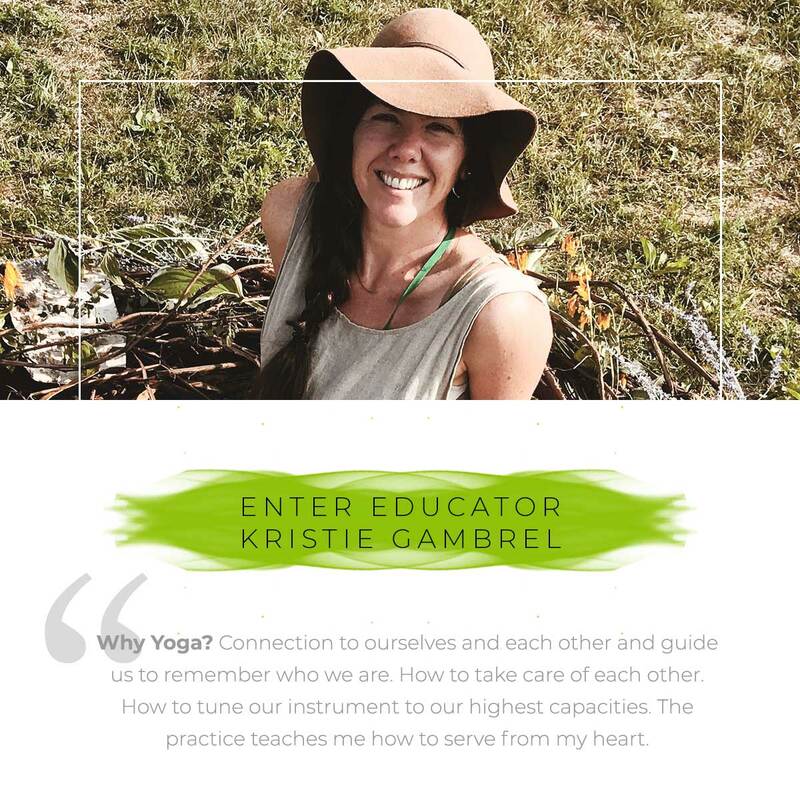 Why Yoga Connection to ourselves and each other and guide us to remember who we are. How to take care of each other. How to tune our instrument to our highest capacities. The practice teaches me how to serve from my heart. 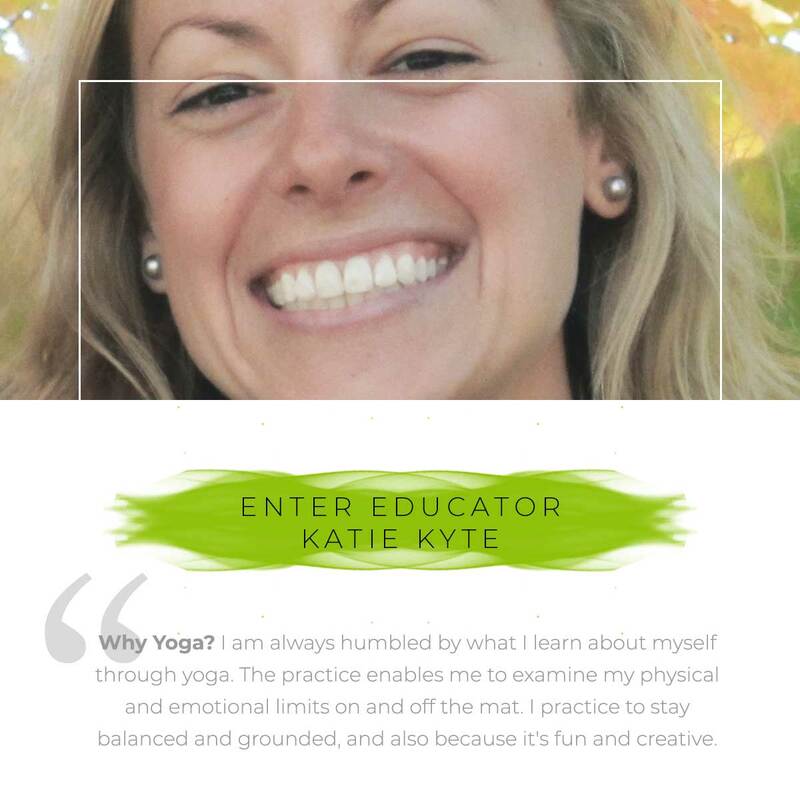 Certifications Kristie has had the privilege of studying yoga for 13 years and teaching for 12. 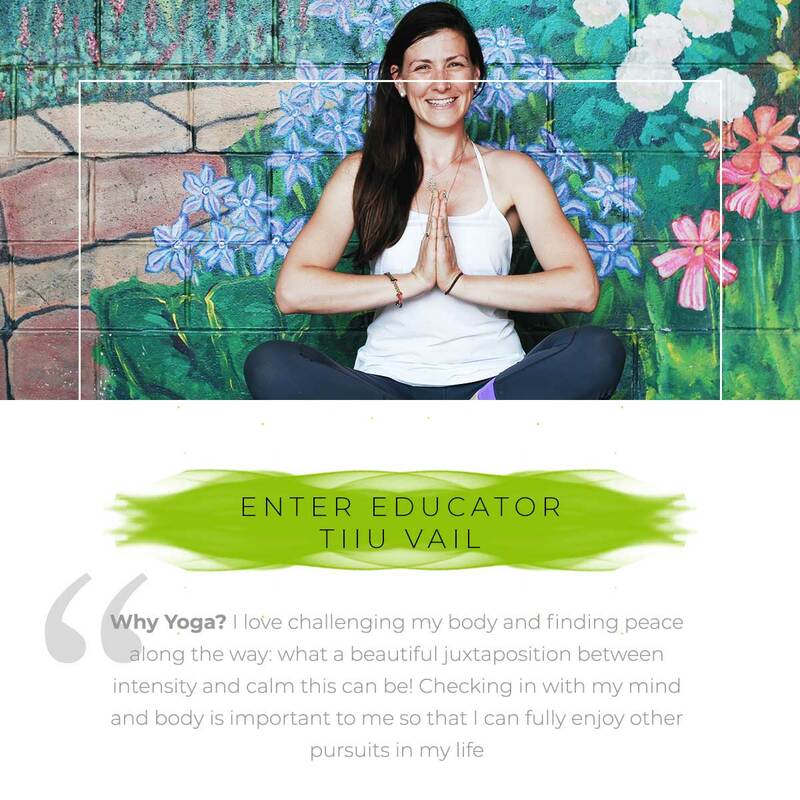 She currently offers Katonah inspired Hatha classes that draws from her trainings, nature, art and a regular personal practice. 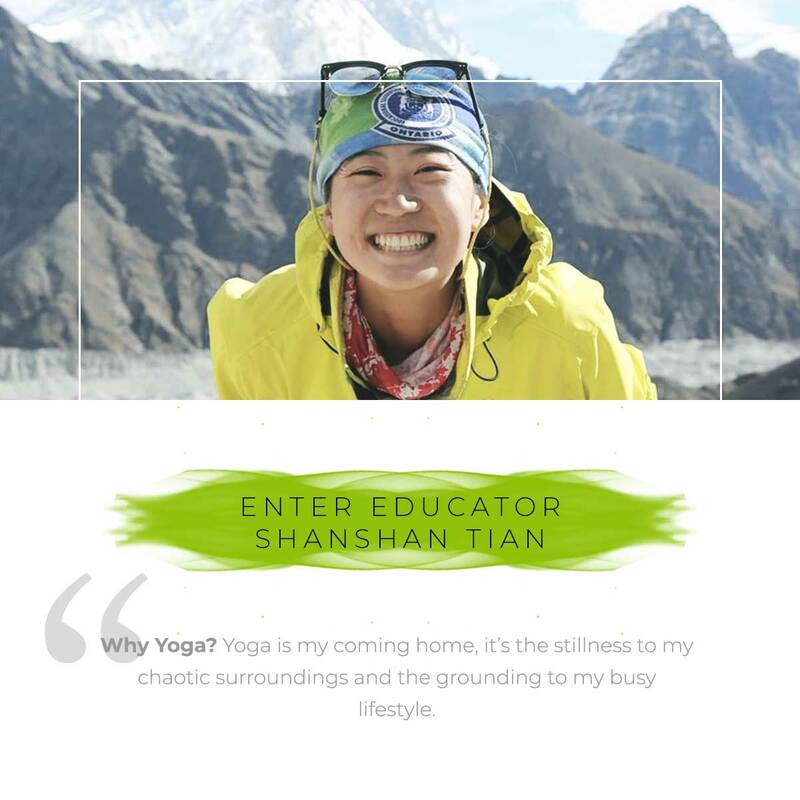 Some of her studies include, Art of Attention Training with Elena Brower, Pre-natal yoga with Janice Clairfield, Vinyasa training with Seane Corn and Ayurveda. Why Yoga Because once you start you can’t stop. Yoga is a lifetime practice. It is evergreen. Always changing, always evolving, much like our daily lives. Yoga is an opportunity to move the body in order to still the mind. It is an opportunity to be with the breath. An opportunity to cultivate peace, love and joy, on and off the mat. Yoga is a personal venture to slow down and seek something greater. It is a privilege to be able to mindfully guide fellow yogis to trust their own inner teacher. Certifications I have my Bachelor’s Degree in Human Resources & Labour Relations and an Advanced Diploma in Business Administration. Why Yoga Yoga is my passion and my light. When I first came to my mat four years ago I saw my soul for the first time. My commitment to my practice is a commitment to myself. My practice is a process of self-discovery and is a blessing that aligns me closer to my true self. Yoga is my alter, my art and my truth. Why Yoga A worrier by nature, I have spent much of my life looking for places of calmness. Little did I know that the place I had been searching for was actually inside of me! I found the gift of yoga right here at Samatva. Practicing yoga brings me great joy, peace and calmness. Certifications 200 hour (with Shiva Rea) + additional trainings with her. 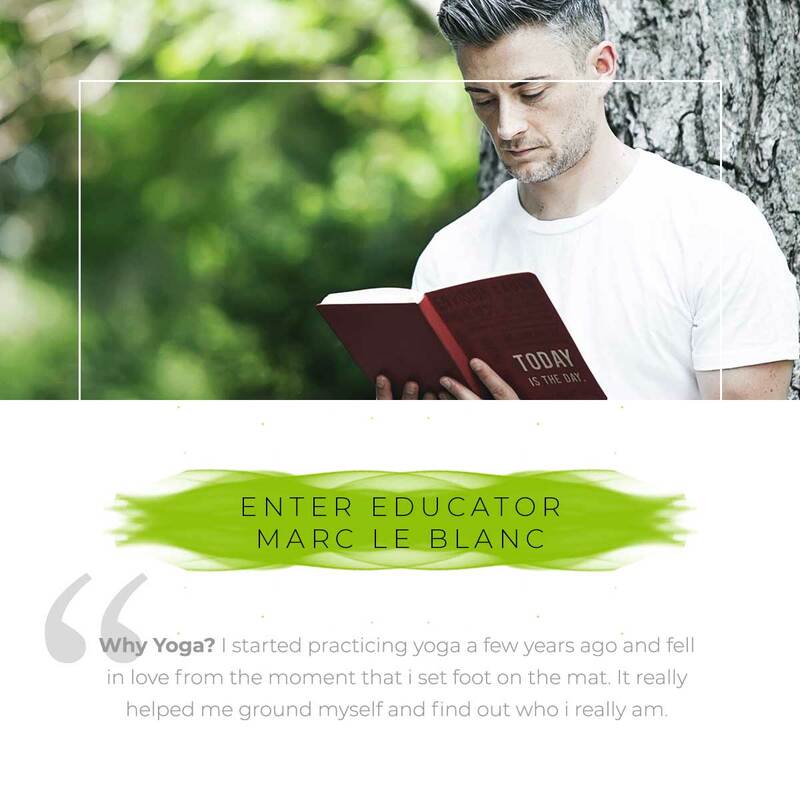 I’ve also taken several workshops with many different teachers, such as Seane Corn, Jason Crandell, Jill Miller, Ashley Turner, Brad Waites, Kathryn Budig, Amy Ippoliti, Rod Styker & more. I also recently completed a 4 hour credit online class for the pelvic floor with Leslie Howard. Why Yoga I initially started yoga to help manage my anxiety disorder; now I use it for exercise too! 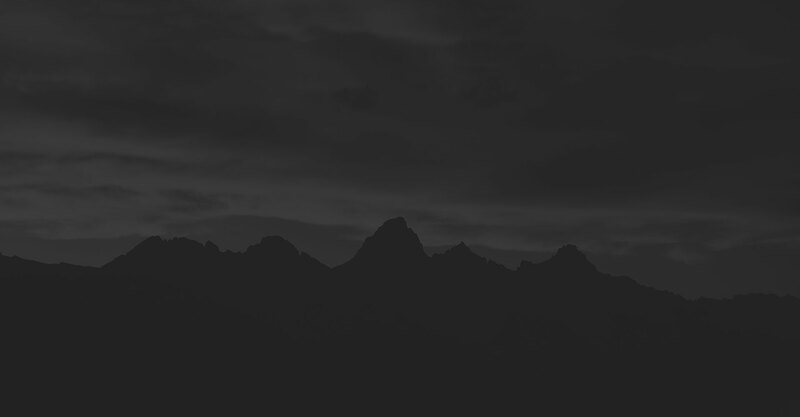 What do I love about being a part of Samatva's Community? The variety of different styles taught by the teachers - whatever I'm in the mood for, it's happening at one of the studios. I also did a 12 hr Restorative Yoga Training and 2 hr Fascia Release workshop with them. Why Yoga Yoga offers me a state of self-awareness and presence. Through that self-awareness, yoga has, and continues to, help me cultivate self-love. Yoga has helped me develop a practice of self-care that helps me be the best version of myself so that I may be that way for others. The Books by my Bedside I have so many! This is why I have a Kindle to store all my literary goodness...Wuthering Heights by Emily Bronte seems to make a recurring appearance. Why Yoga? Flexibility. Strength. Stamina. 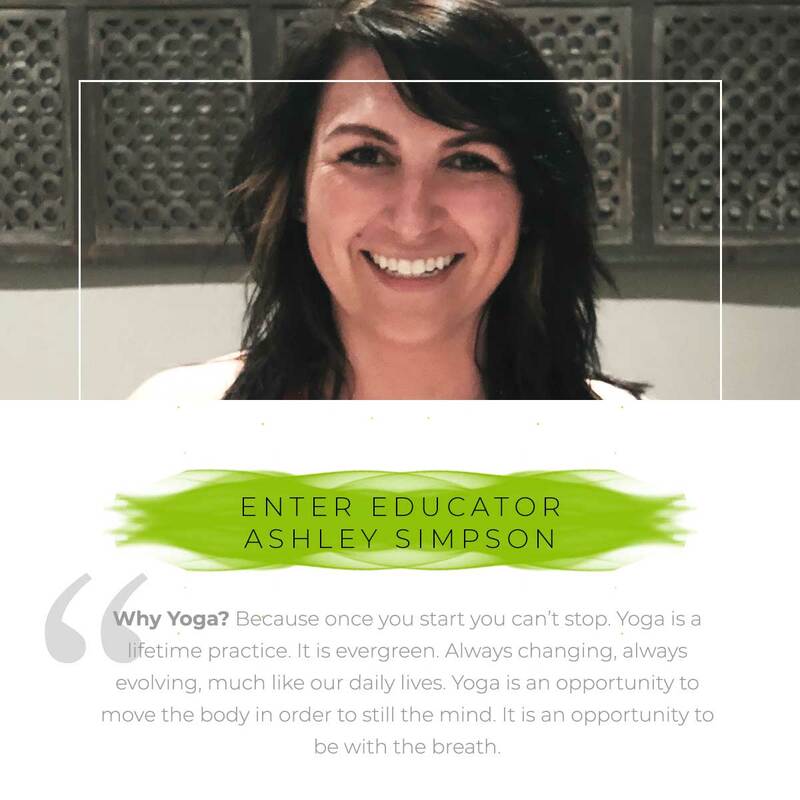 Why Yoga Since the first class I took that allowed me to connect with my body and find peace within my anxious mind, I have fallen in love with yoga. Every class taken or taught has expanded my practice and challenged me out of my comfort zone. 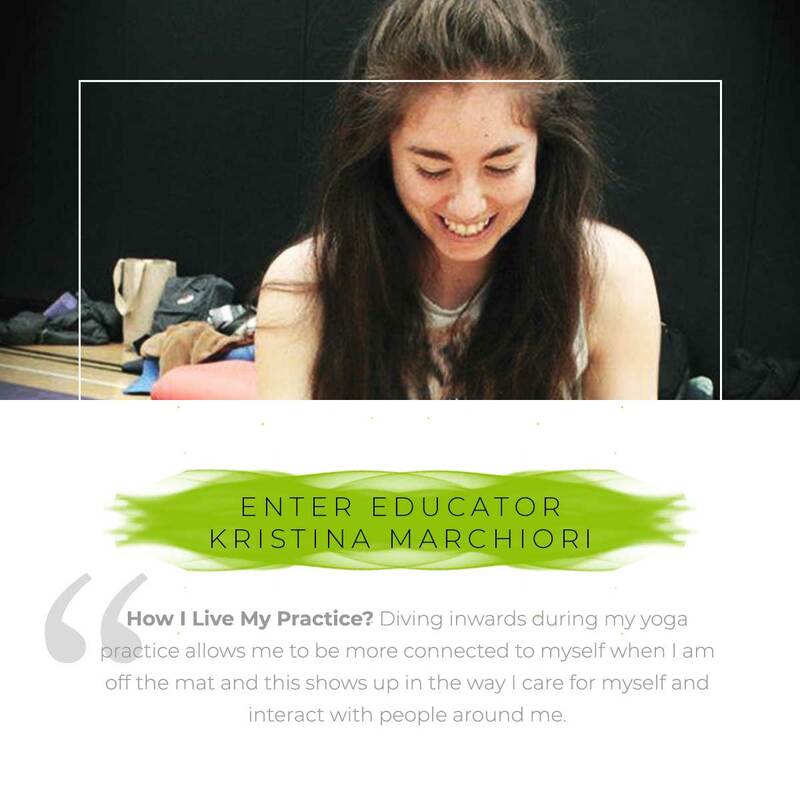 I love the practice and the light airy way I feel after spending time with myself on my mat, and the way opening my heart to create a safe space in my classes brings me to a similar bliss. Why Yoga Yoga helps me to feel at home within myself. It allows me to feel open and calm and free from mental and physical constraints. 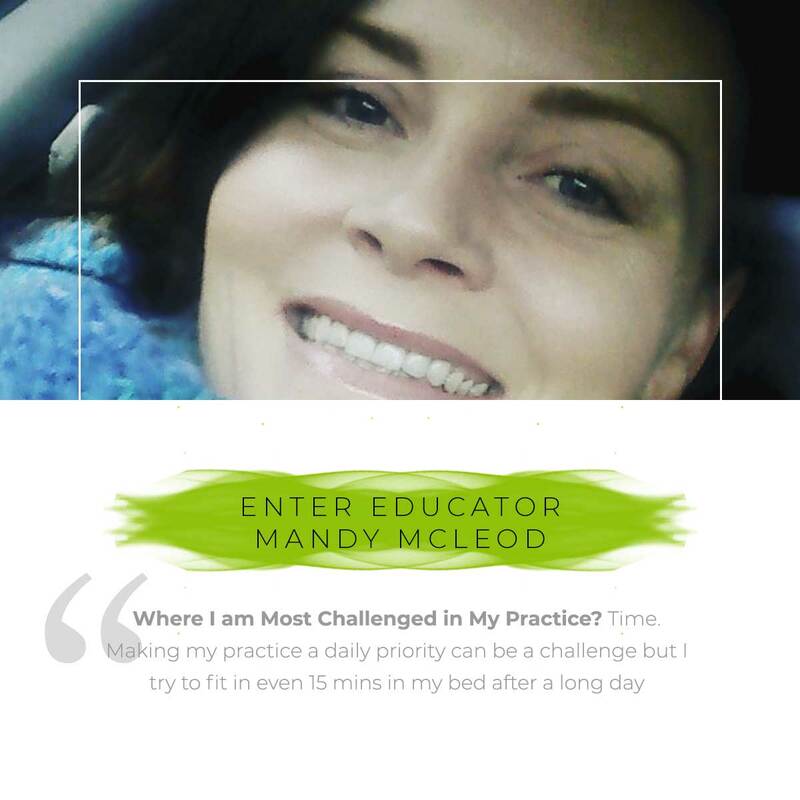 Certifications Mandy is a graduate of KLC college and works as a physiotherapy assistant. 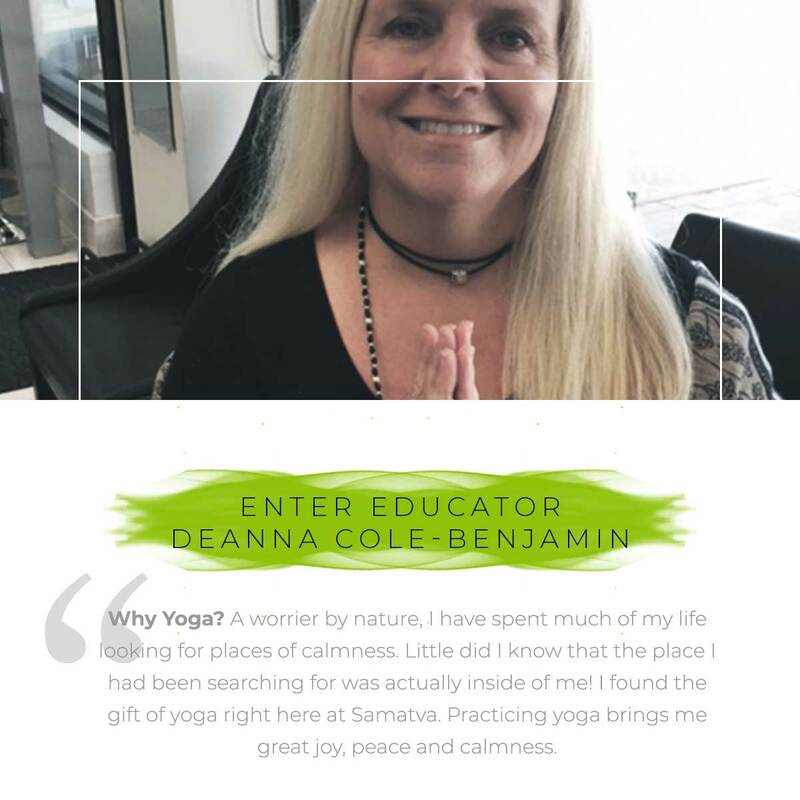 Mandy received her yoga certification in Hatha and Vinyasa in 2008 in Toronto under the guidance of teachers Kathryn Beet and Patricia White. 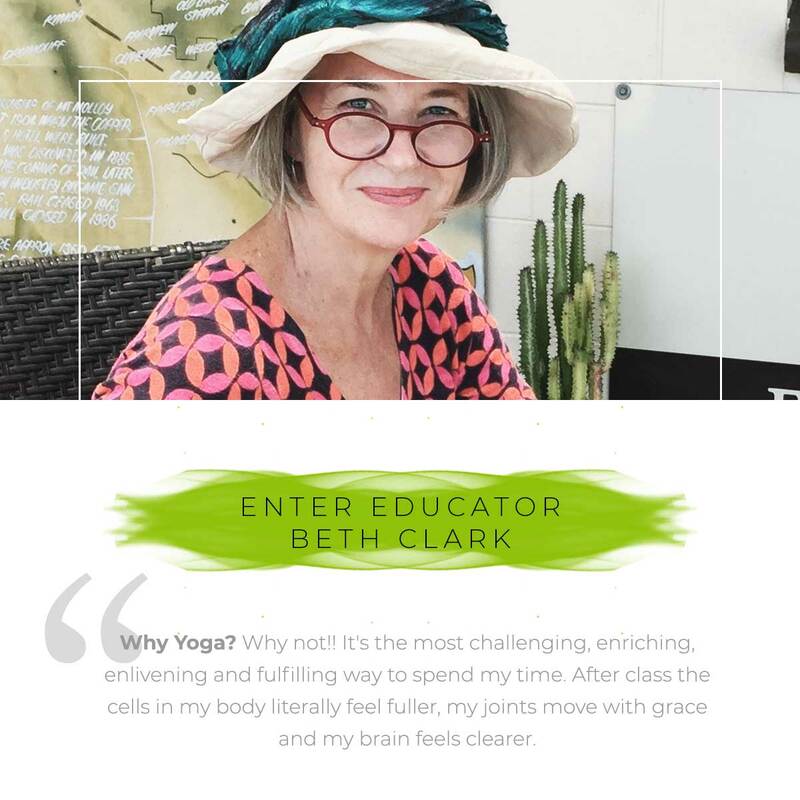 She has taken advanced teacher trainings in therapeutic yoga with Kathryn Beet and Flow yoga with Bibi Hahn. Why Yoga Yoga has given me a positive way to be mindful everyday. As life throws me challenges I remember that it will pass and the outcome is how I react. How I Live My Practice Yoga has given me the ability to live day to day enjoying life as it happens not worrying about the past or future. 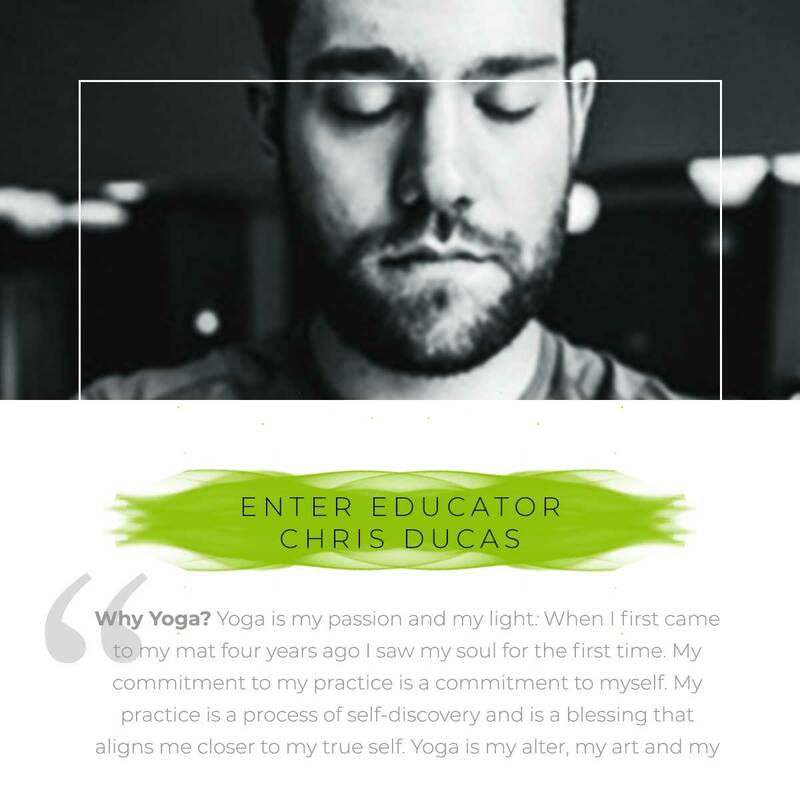 Why Yoga i started practicing yoga a few years ago and fell in love from the moment that i set foot on the mat. it really helped me ground myself and find out who i really am. i struggled with anxiety and stress for a period of time after dealing with with the loss of someone close to me. yoga and mindfulness gave me the tools i needed to bring my emotions to the surface so i could deal with them in the proper way. Why Yoga Yoga is my coming home, it’s the stillness to my chaotic surroundings and the grounding to my busy lifestyle. How I Have Fun Off My Mat MOVEMENT! Adventuring outdoors, cycling as a way to commute, playing competitive sports, dancing like no one is watching. Movement is medicine and belly laughs that hurt are the side effects. Why Yoga I love challenging my body and finding peace along the way: what a beautiful juxtaposition between intensity and calm this can be! Checking in with my mind and body is important to me so that I can fully enjoy other pursuits in my life including long distance running, ultimate frisbee, and general fun-having! As far as teaching yoga, to open the door of yoga for others is a blessing: I love facilitating the learning about oneself that yoga brings about. 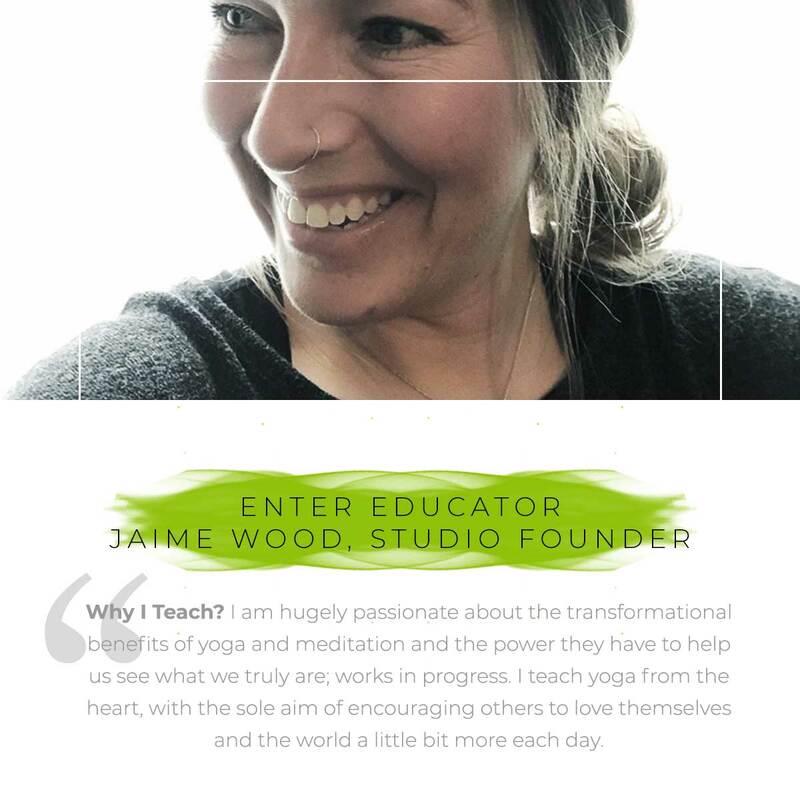 I completed my 200 Hour Yoga Teacher Training through Mona Warner at Janati Yoga School and continue to learn and hone my teaching and personal practice with workshops and clinics. Along the way I have also learned from Deepa Kannan and Shyam Nair at Yogasopanam in Bangalore, India who guided me in various yogic practices for three years while I was a teacher at Stonehill International School. 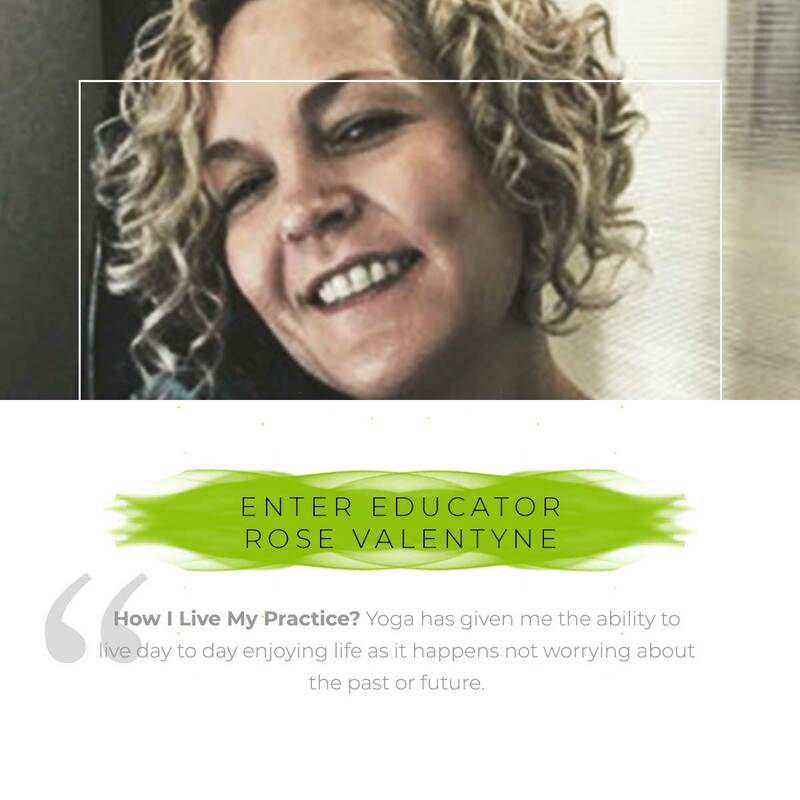 My journey began in 2004, however, in my hometown of North Bay, Ontario at Vinyasa Yoga Studio. Why Yoga Yoga helps decrease pain in the body and maintain optimal health.